Is a way to provide consistent analysis methods, material allowables, and work flow processes across an organization such as an OEM or Tier 1 and all of their suppliers. These four capabilities that come with a Pro License, are a special interest to an Enterprise framework deployment. Which equations does HyperSizer use? …. your equations. Analysis plugins enable you to leverage your existing stress methods with the powerful automation and optimization capabilities of the HyperSizer stress framework. The analysis plugin API enables users to implement their own failure analyses using C++, C, or Fortran code. Analysis plugin results – margins of safety and traceability details – are incorporated in the detailed sizing algorithm, displayed in the user interface, and exported to stress reports like native HyperSizer analyses. Plugins also support the creation of custom user inputs such as correction factors and analysis options. HyperSizer’s data structures reside in a relational database which stores, among other things, materials data for analysis and sizing. The material database provides an environment to maintain all company data required for stress analysis. In an enterprise environment, material properties can be managed by one or more HyperSizer administrators and can easily be deployed, enforcing their use for all engineers. The key to managing material data is to establish a template database. When users create new databases, only “company approved” materials will be available. See Template Database. When importing the GFEM, FEM Material entries are linked to material entities in the database using the FEA solver’s material ID. 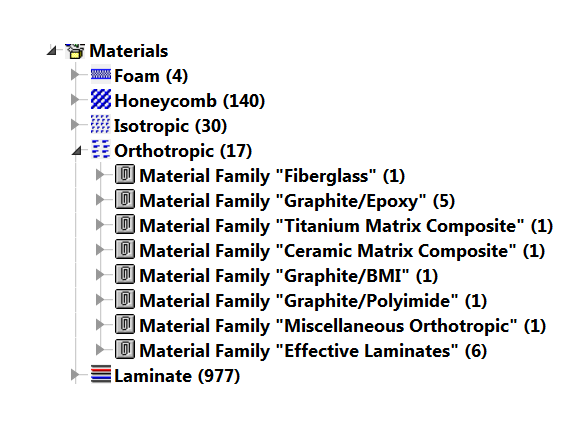 By linking the Material entries, the same material data can be shared without user intervention. The administrator is required to build Work Package Templates for each program that will have all materials, plug-ins, and preferences for a given work package and no extra analysis plug-ins or materials that are not applicable to that program. 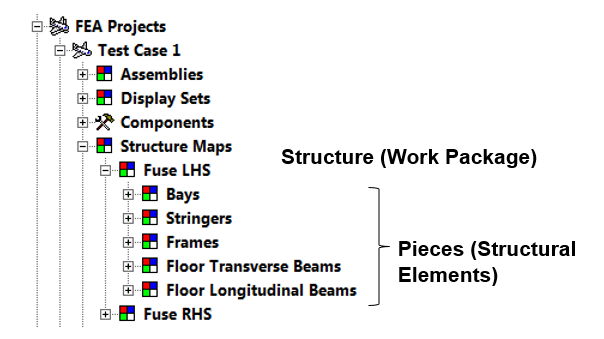 Using Work Package templates, structural methods organizations will have complete control over which analysis methods (margin policy) and which version of each analysis method (Failure analyses repeatability) goes to which structural analyst. Aircraft specific GFEM mapping identifies structure during FEM import such as stringer and skin segments so that HyperSizer can analyze and size structural parts, using skin and stringer element forces and resulting panel section loads. 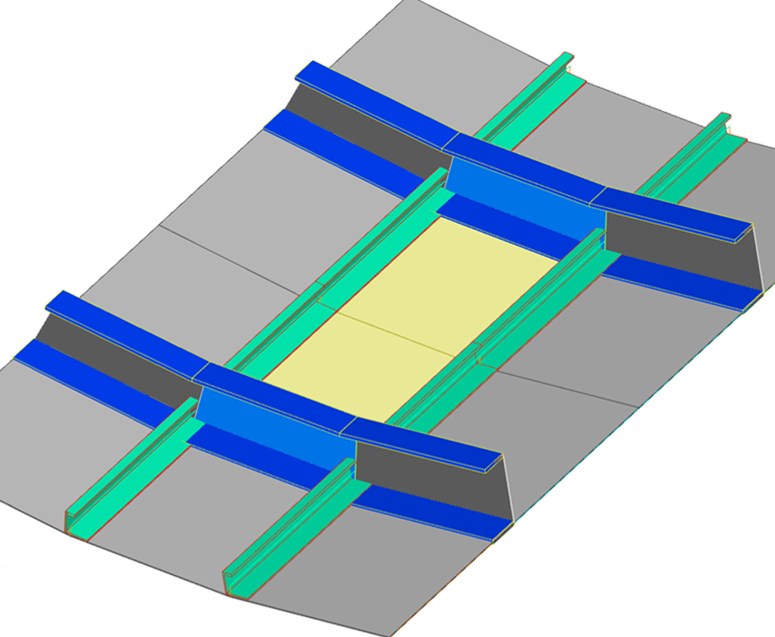 This allows margins to be assigned to the part’s segments and not to FEM elements and to manage structural assemblies such as wing skins, wing ribs, and fuselage sections along with all of the other airframe structural assemblies. This capability is implemented with user defined spreadsheets or a CSV file.